Such a great success the Olympics 1992 were, in Barcelona! Still recently we were celebrating the 25th anniversary of those magical Games. All the cycling track competitions were held at the Velodrom d'Horta, inaugurated for the event. But the road races were not in Barcelona city, but in Penedes, the famous wine region (the catalan Tuscany) south Barcelona. Sant Sadurní d'Anoia (the capital of the catalan Cava sparkling wine) was the town where the races finished. In those days, the professional cyclists could not participate in the Olympics (it was just from the next Games in Atalanta (USA) that the pros could participate). 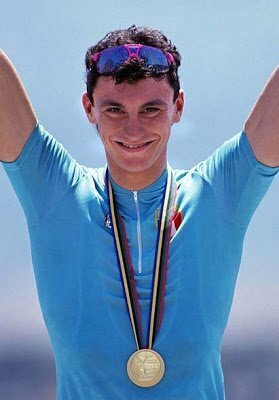 The winner of the cycling road race was Fabio Casartelli, the italian cyclist who died shortly after (1995) in the Tour de France. He was riding for the Motorola american team (lead by a certain Lance Armstrong), and crashed in the steep descent of Portet d'Aspet. By those times, helmet was not mandatory. After Casartelli, the dutch Erik Dekker and the Latvian Dainis Ozols completed the podium. Cycling in classic bikes has become a true passion for many cyclists. Possibly the first big event on classic bikes was the italian Eroica. As time passed by, the Eroica became the "Strade Bianche" which now, by the way, is a prestigious professional spring classic. There are some rules which have to be obeyed in the classic bikes events. Bike has to be built before 1987, shifting with levers in the frame, no clip in pedals (strap pedals). Of course nothing about disc breaks and electronic shifting!! Another nice thing about this events is that you have to be dressed with old cycling clothes. Of course not a helmet (cycling caps are welcome!). Many participants wear old wool jerseys and some of them have a tire around the chest, like in the old cycling times. As said before, these events are becoming more and more popular. Also in Barcelona. 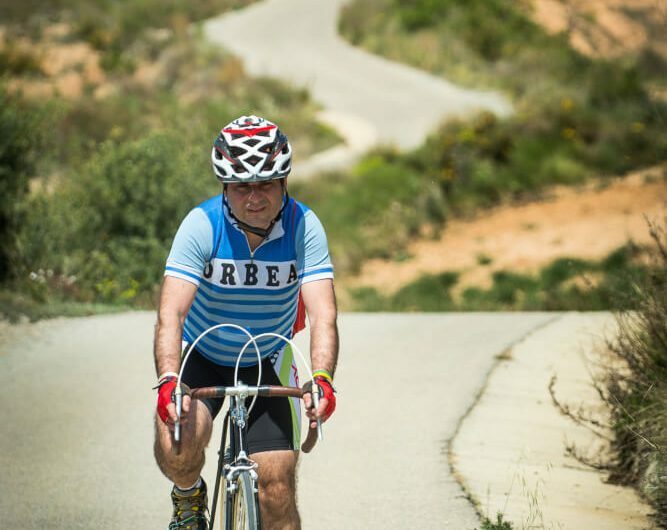 The most popular ride on classic bikes is "La Pedals de clip", which takes place in Sant Martí Sarroca, in the Penedes wine region south Barcelona. This year 2019 the date is May 5th and you have 2 routes, 80 and 47 km long. And remember, this is not about being fast, this is about showing off your nice old bike and wear the old cycling clothes you kept hidden in your wardrobe! Have fun!! Today we had Antonio from Colombia doing our roadcycling tour in Costa Brava , which includes also some small medieval villages as Romanya de la Selva. Such an amazing spot! The road from Tossa de Mar to Sant Feliu de Guixols is the best road for cycling all of Catalonia! Smooth surface, fantastic weather all year long and very scarce traffic are the best reasons for cycling here. Join our Roadcycling tours in Girona province and Costa Brava!